Although there’s obscure background info about CactusVPN, there are lots of customer comments that only enhance their credibility ratings of this Moldova based VPN provider. The unique thing about CactusVPN is that they allow P2P and torrent traffic even from their Dutch servers. It seems like CactusVPN has some terrific characteristics, but it also lacks some basic features. This honest review will give you only the most exact information about their quality of services. So let’s start to know about the reality of CactusVPN, and its capabilities as a VPN service provider. CactusVPN offers simultaneous connection of multiple devices, but there’s a catch to this cool feature that you can’t see with every provider. You can connect multiple devices, but you can’t use the same server. Cactus has servers in four different countries, so you will automatically be able to connect up to four devices at the time. For example, your mobile to the Dutch server, your tablet to an US server, your laptop to an UK server and your Xbox router to a Romanian server. Remember that this is a Moldova based VPN and has lots of connections with Romania. CactusVPN provides great security and safety protocols and it also has its own DNS service. The good thing about this is that it makes it easier for you to hide your geolocation and easily access pages like Pandora, Netflix, Hulu, iPlayer and others. You login information will be stored for three days only, because of security measures, but will be deleted afterwards. With the location of CactusVPN being Moldova, you can be sure that no DMCA regulations apply here. Another cool feature that CactusVPN provides is the small and simple AppKiller that you can find on the third screen of the opening interface screen. This tool will allow you to close specific apps if you experience VPN connection failure. It comes really handy and it represents an improvement compared to competitor solutions. The design of the CactusVPN client is very clean and you will easily understand and navigate through it. The main window will allow you to choose between server location and protocol that you want to use. CactusVPN has 14 servers located in four countries: UK, US, Romania and Netherlands. It’s a truly unique system, but it seems like it functions very well. There are good sides and bad sides connected with every location, but when you combine them all together you get a perfect mix. You can also choose to use only selected locations, which will decrease the amount of your subscription plan. The setup process is very fast, as the very service that of this Moldova based VPN. You only need to provide some basic info and you will be all set to use the trial that the provider offers. If you wish to purchase one of the subscriptions, just add couple of details including payment options, which doesn’t include bitcoins. CactusVPN uses the following protocols IPSec, L2TP/IPSec, OpenVPN, PPTP, SmartDNS, SSL and SSTP. I don’t know why you would want to use some other protocol rather than OpenVPN, but you still have the choice. One more reason why to use OpenVPN in front of other protocols is that only this protocol has 256-bit AES encryption with 2048-bt key authentication. SSTP uses 256-bit encryption with a SSL key and there’s 128-bit or 256-bit encryption available for L2TP/IPsec protocol users. We already mentioned that CactusVPN offers a 30 day long money-back guarantee and free trial period. You can’t pay for your subscription plans with cryptocurrencies. Here are all of the subscription plans and payment methods currently available at CactusVPN. 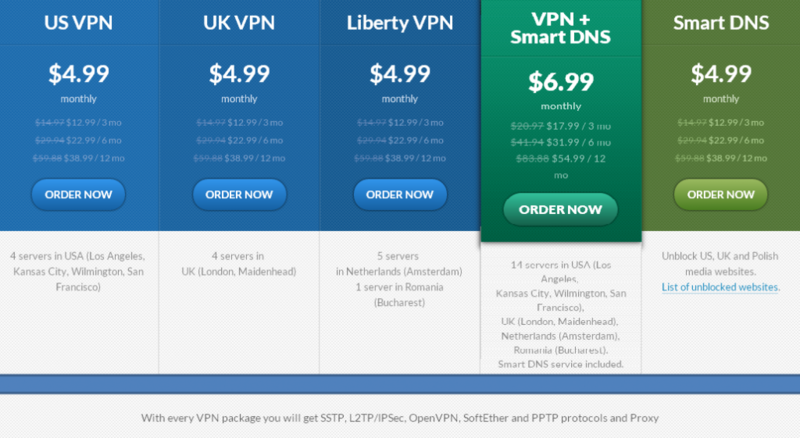 There are also some cool bundle offers available at CactusVPN. If you want to purchase more than one subscription, it’s probably smart to contact them as their marketing team will give you some discounts that can’t be found on the page. All existing users have a 50% discount when they decide to purchase a second subscription. The support team at CactusVPN is very knowledgeable about all queries regarding their services and VPN in general. You can also find lots of answers to your questions in their FAQs section. There are lots of tutorials in the Support section of the website, where you can find setup tutorials for almost any device or operating system that exists. If this doesn’t help, you can contact the support team via mail (read ticket). Support is an important thing and CactusVPN understands that. They don’t have the ultimate technical support, but it’s a pretty decent one compared to the size of the company. One of the things in which CactusVPN excels in is access to blocked sites. 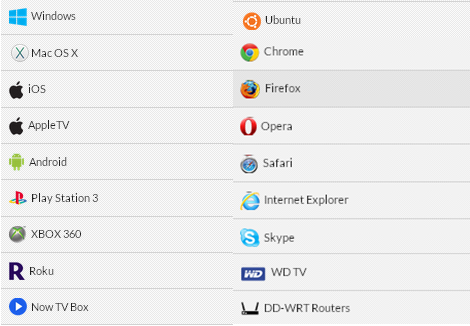 They have a current list of 115 unblocked sites and the best thing is that you don’t lose internet speed when you connect to these sites. Normally this is all a part of the DNS including software pack that you can choose when you pick your subscription plan. You also get the Proxy and Auto Proxy features as an extra. When you choose the Proxy feature you’ll be using CactusVPN servers, but you can also setup your own customized settings. Money-back only available for Windows, Mac and Linux users. Servers based in only 4 countries. CactusVPN can’t brag with huge base of servers spread on all continents, but we hope that this thorough review convinced you that all of these 13 servers are strategically located in order to achieve great service quality and diversity. Cactus is a small company that understands how VPNs work and will give their best to provide top notch service to all of their customers. They always try to invent some new features and have top quality DNS service as well as a cool Application Killer tool. We would give advantage to CactusVPN in front of some other pricier providers, but would also like to hear what you have to say about them. Do you have any previous experience or are interested about some details that we haven’t mentioned in this review. Please share your opinions in the comment section and help us grow this review into a complete guide for people interested to try CactusVPN. In most cases CactusVPN will be described as an average server, but they still don’t store your login information and provide great levels of safety and security. There are some issues to be resolved regarding anonymity because of the lack of dedicated IP addresses and port forwarding. Do You Qualify As a Security Gladiator? The Ultimate Checklist!